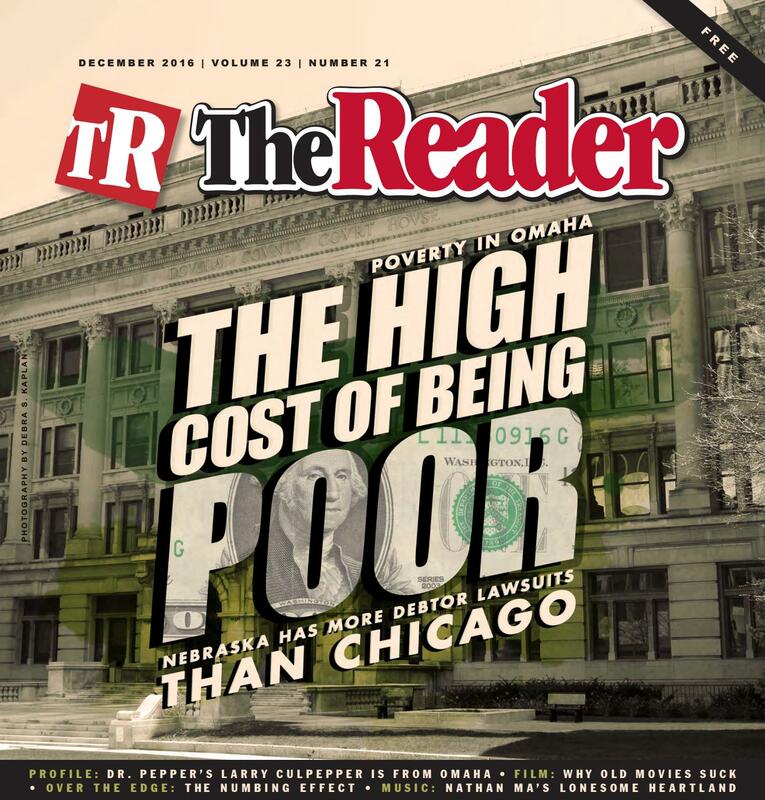 The December 2016 issue of the Reader featured a cover package on Poverty in Omaha, The High Cost of Being Poor. There are three stories on poverty and I have two of them, including this lead piece titled Vicious Circle, Breaking the Cycle of Poverty in Omaha. My other piece is headlined The High Cost of Being Poor, Aggressive Creditors Exploit Nebraska Law. My blog, leoadambiga.com, features many other social justice stories I have written over the years. In 2007 local media reported the stark dimensions of concentrated poverty for many African-American families in North Omaha. It was, sadly, old news to impoverished residents long beset by low income, high debt, unstable, substandard housing and food deserts. It confirmed, too, what human service professionals like Voices for Children in Nebraska executive director Aubrey Mancuso already knew. “Unfortunately,” she said, “things haven’t gotten much better. I think we’re largely in the same place. When we think about poverty in Omaha and Nebraska there are two main stories. One, poverty continues to be highly racialized. Children of color, particularly black and Hispanic children, have much higher poverty rates. So poverty’s gone up in general and the groups disproportionately affected by it continue to be. We haven’t made progress addressing those disparities. Experts say want isn’t exclusive to the unemployed but extends to the underemployed working poor. Chronic poverty can lead to hopelessness, said Jim Clements, executive director of the Heart Ministry Center. Clements said even many middle-class Americans are a few big life bumps away from tough times. Geo LaPole invested everything in his own flea market, where he also lived. Things went well until business dried up. Unable to make the rent, he lost his business and home. He struggled keeping a roof over his head. Then he lost a job. 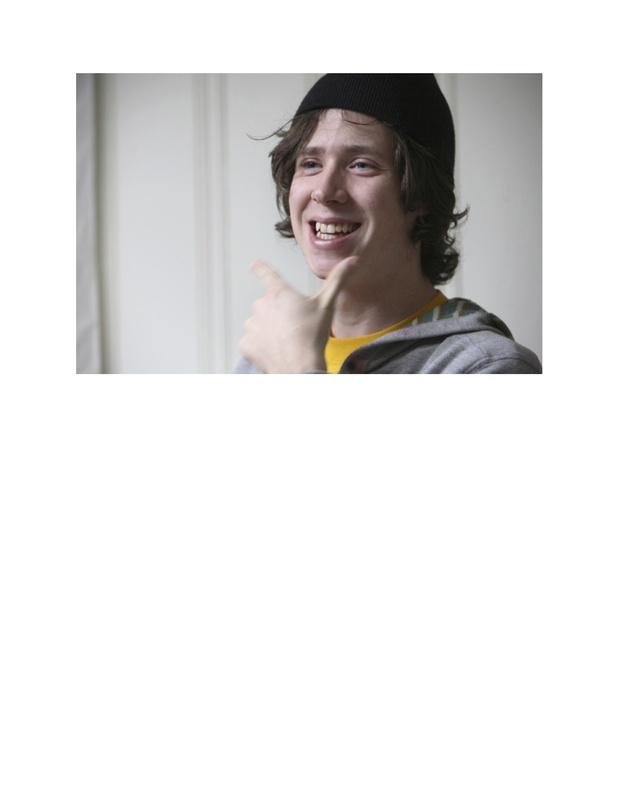 He went through Heart Ministry Center’s Fresh Start program and now works there. LaPole said pride prevents some from asking for help. Trust can be an issue, Clements said, “If you’re poor, you’re probably taken advantage of.” Together executive director Mike Hornacek said the poor struggle finding quality affordable housing, often settling for run-down properties owned by unresponsive landlords. Poverty is not just confined to inner city neighborhoods either. Experts say there are pockets of suburban poor who also utilize helping services. Everyone coming to Together or Heart Ministry Center has a story. Big Lou Parker battled addiction, then buried his wife, leaving him to raise five children. He found sobriety and opened a soul food eatery only to suffer a massive heart attack. Medical bills forced him into bankruptcy. The center helped him get back on his feet and he now owns a successful lawn care business. Homeless veterans and LGBT youth comprise subgroups of the poor seen at Together, 812 S. 24th Street. After making clients safe, any addictions or mental health issues get treated, and then pathways to education, employment and housing are found. Together refers clients to partner agencies for services as needed. It works the same at Heart Ministry. “It takes a lot of different touches to get somebody through it,” Clements said. “That takes time. It’s baby steps. People can work on specific goals here. We try to find ways to connect them to mentors. The more people we can put in their life to build that personal infrastructure and to have in their corner, the better. Most poverty services address urgent basic needs or crises, such as eviction, utility shutoff, hunger and clothing. The immediate goal is stability. Longer-term goals get addressed with case management support, much of it dealing with financial counseling. Unresolved debt can further trap people in poverty and expose everything they own to collectors (see related story in this issue). If someone’s already low wages get garnished, they may fall behind on rent or car payments and find themselves without a permanent place to live or a vehicle to drive. Negotiating poverty’s cascade of effects and harsh decisions, such as forgoing regular healthcare or letting one bill ride to pay another, is reality at Minne Lusa Elementary School, where 94 percent of the students receive free or reduced lunch. Principal Kim Jones admires the fortitude of parents and kids who confront it daily. Utterback said OPS provides additional supports to low performing schools, including a social worker and a school support liaison, literacy coaches, math and science coaches and more technology. Mental health support is also offered through Project Harmony. She said more can be done for poor families. Mancuso and her team worked with outgoing state Sen. Tanya Cook to write and pass LB 81 that allows families two years of transitional assistance at a much higher income level before they have to bear the full cost of child care. Mancuso also advocates a public pay-in program that does for poor kids what Social Security does for seniors. Humanizing poverty and having compassion is a start. Experts advocate more avenues for the poor to acquire skill sets that net living wage jobs and to access capital for startups, asset-building and home ownership. Paths to self-determination should lessen the need for safety nets from crises and protections from predatory forces. No one chooses being poor. Circumstances may find you born or thrust into poverty. Either way, the only way to move beyond unemployment, underemployment, debt and despair is to follow pathways for sucess.. Helping hands abound to guide and support. As if being poor isn’t hard enough, some creditors gouge, hassle, intimidate and threaten people who simply can’t pay their debt or need more time. Folks already stretched to the margins can find their wages and accounts garnished and facing arrest. Whether born or thrust into it, poverty takes a toll. Just getting by is a struggle but things really get tough when creditors hound you for a debt you can’t pay, target whatever little income or assets you have and even threaten taking away your home and freedom. Janet and her pastor husband thought they were comfortably set, looking ahead to retirement in a few years, when he lost his job in a major downsizing at a local medical center and with it the couple’s only earned income. Janet. who can’t work due to a disability, said things soon went from bad to worse when they had trouble paying off a major purchase they made on credit with a local retailer. The couple paid down a previous credit card debt with the same store, though they still owed some $1,500. Then the creditor upped the pressure by putting a lien on their home. “Forty years of stuff in there,” Janet said of giving up their home. Meanwhile, the store pursuing the debt collection refused the couple’s entreaties to work out a partial payment plan. Then, to the couple’s dismay, legal action resulted in a warrant being issued for Janet’s arrest. She contacted Legal Aid of Nebraska for advice and an attorney represented her at a court hearing. The store’s never contacted her again. Janet’s appalled how far the store pushed things. As she learned from LAN attorneys, her experience is not uncommon. “If the public knew what these creditors are doing, there would be an outcry,” she said. “This is working people they’re preying on who’ve had outstanding credit and then something’s happened to them. When you ask them to help you work with them and they won’t, there should be laws protecting you from that, especially from being threatened to be put in jail. Often, LAN attorney Kate Owen said, clients don’t even know they’ve been ordered to attend a debtors exam or served with an arrest warrant as the law doesn’t require personal or actual notice, but only an attempt to serve at someone’s last known residence or place of employment. She cited the case of a single mom who missed a debtors exam when notice was left with a colleague at her employer and it never reached her. Gaughan said creditors sometimes agree to set aside a debtors exam or arrest warrant. When they don’t, she said, “then we have go to court with the client.” She said Legal Aid invariably gets exams and warrants set aside or quashed. That’s what happened in Janet’s case. But that doesn’t wipe away the stress it puts people under. She said creditors often overstep their bounds and even violate the law. She recalled a case in which a creditor unlawfully garnished a client’s Social Security savings. Owen said a recent ProPublic study documented “the poorer you are, the more likely you are to be sued multiple times because you lack the funds to pay.” She said client debt is “not for frivolous purchases” – it’s for medical bills, child care, rent, transportation. She said among Legal Aid’s “wish list of changes” to current state law is limiting collection filings to a single debt rather than bundling debts together.